As crucial as broadcast and publishing are to the fulfillment of the Alliance's mission, they can never substitute for the kind of person-to-person contact that events provide. They encourage Alliance members by assuring them that they are not alone and by allowing them to make contact with other conference goers and speakers. These contacts often bear unexpected fruit. Consequently, the Alliance is committed to the Philadelphia Conference on Reformed Theology. PCRT brings a slate of noted pastors and teachers to three or four churches across the country each year. Since its inauguration in 1974, this conference has attracted overflow audiences to its biblical-expository approach to Christian doctrine. PCRT is the Alliance's key lay conference. It remains the most potent of all such conferences, lacking the air of a convention but instead cultivating an intense combination of worship and Word. While PCRT is grateful to have inspired many imitators, it remains the original and authentic reformed conference. 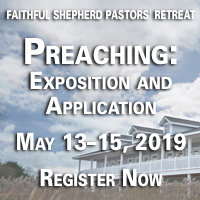 We purposefully hold our conference in churches to encourage a worshipful and intimate setting where attendees can fellowship with one another and the speakers. PCRT is the nation's oldest, continually operating, reformed conference. Click Here to download the pre-conference and conference notes from Michael Kruger's sessions. Click Here to order an excerpt from Philip Ryken's session entitled, Every Last Word, Every Good Work. 1989: Whatever Happened to Sin? 1982: Come, Change our World!